OVER SEVEN ACRES of school playing fields to be sold by the Christian Brothers to pay compensation for child abuse are already zoned for housing for any potential developers. 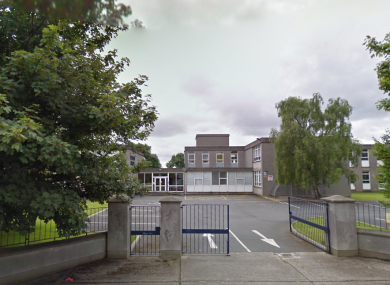 Yesterday, it emerged how the land surrounding Clonkeen College in Deansgrange, south Dublin, was to be sold without the prior knowledge of the Board of Management or parents of pupils. The land, which is expected to fetch over €18 million, has been zoned for housing since 1998, making it a desired target for developers. The news has been condemned by locals and school officials. They said a lot of money has been put into the school’s facilities and that the strategy for the next 10 years revolved around keeping the fields. Cathaoirleach of Dun-Laoghaire Rathdown county council, Cormac Devlin, has said it is “completely unacceptable that the Christian Brothers would attempt to sell them off to pay their debts and fund their the day-to-day living expenses”. He said: “Parents, communities and educators throughout the country should be very concerned that their local Christian Brothers school may be viewed as an asset to be disposed of to pay for the debts and living expenses of the brothers. The school comes under the patronage of the Edmund Rice Schools Trust (ERST). They provide support to 95 primary and secondary schools, including Clonkeen College. However, it is the congregation of Christian Brothers which own the land has the final say on any potential sale of lands. As part of the proposal for Clonkeen, the congregation has said that it will sign over an additional 3.5 acres of land to the school. It will also donate €1 million for the development of sports facilities, as the school requires. €300,000 will also be give to the school for other projects. However, even though they are being handed the pitches, if they are sold in the future, the school would get 50% of the fee. In a statement yesterday afternoon, the ERST confirmed that it has been informed that the congregation plans to sell 7.5 acres of land to the rear of Clonkeen College to meet the €10 million cash installment of the congregation’s agreed voluntary financial contribution to the State. Email “School pitches that are to be sold by Christian Brothers are zoned for housing ”. Feedback on “School pitches that are to be sold by Christian Brothers are zoned for housing ”.